& under the brow for a lifted look. the deepest shade into the crease. 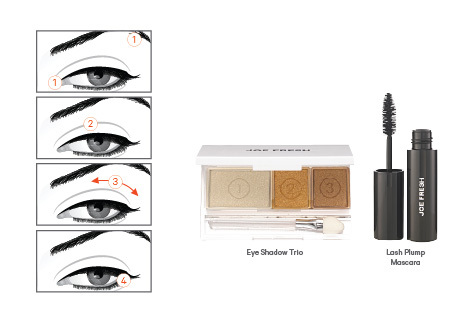 For a bright-eyed effect, skip liner and drama with a few quick coats.